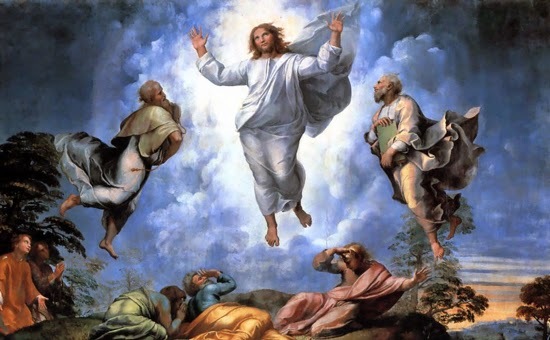 The Transfiguration is celebrated on the sixth of August, but an account of it is also proclaimed as the liturgical Gospel in Lent, because it was a way that the Lord prepared Peter, James and John for the Crucifixion. These were the same apostles who would be with the Lord as he sweat blood the night before his death. Immediately after Christ’s transfiguration, he would cure an epileptic suffering a violent seizure at the foot of the mountain: glory and agony within a few hours. Satan uses people in attempts to block God’s plan, fooling and flattering them to use their power and talent to obscure the radiance of God. Sometimes he does this through individuals, and other times through political movements and false religions. One vivid example was the Siege of Belgrade in 1456. Following the fall of Constantinople to the Muslims and the desecration of the world’s largest church, Hagia Sophia (“Holy Wisdom”), the Ottoman Turks had worked their way into Europe, hoping to conquer Rome. Pope Callixtus III saw the Devil’s work here, and summoned the brilliant Franciscan, Saint John of Capistrano, seventy years old, to crusade against the foe. At a meeting in Frankfurt, the friar found the Germans and Austrians too indifferent to take up arms, so he enlisted the Hungarian general, John Hunyadi, and both of them, riding into battle against great odds, lifted the siege of Belgrade and delayed Muslim progress into Europe by about 60 years. Hunyadi brandished a sword and Capistrano a more powerful crucifix. These great crusaders died shortly after from contagion. The Pope had ordered church bells to be rung at noon before the start of the conflict. News of victory reached Rome on the Feast of the Transfiguration, so the Holy Father made it a universal feast. Moreover, he ordered that church bells be rung at every noonday. In 1956, Pope Pius XII evoked the “Turkish Bell” as a summons to a crusade of prayer for oppressed Christians in Communist East Europe and China. The terror that stalks our world now, and would seek to block Christ, is diabolic, and can only be attributed by the naïve or cynical to poor social conditions and economic deprivation. Christ knew his enemy when he said, “Get behind me, Satan.” Today there is great need for the bell to ring and move us to prayer and action. Father Rutler is pastor of the Church of Saint Michael in New York City.